Standing, from left: Sharon Schramm Valinoti, Mary Lou Neely Sidener and Nancy Gross. 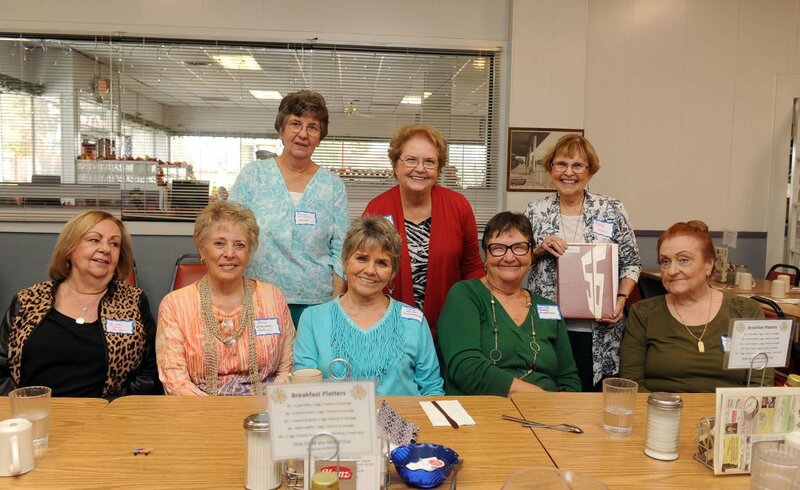 Sitting, from left: Jeanette Fleck Ferdun, Donna Schnabel Antrim, Neva Solari Yarborough, Leatricia Peterson Henderson and Bonnie Grimsley Rudow, during the Ladies Lunch Brunch, a reunion group of Lodi High School Class of 1956, at the Richmaid Restaurant in Lodi on Friday, Nov. 14, 2014. If anyone from the class of 1956 is interested in joining the lunch brunch, which takes place every 3 months, they can call Nancy Gross at (916) 983 7710. 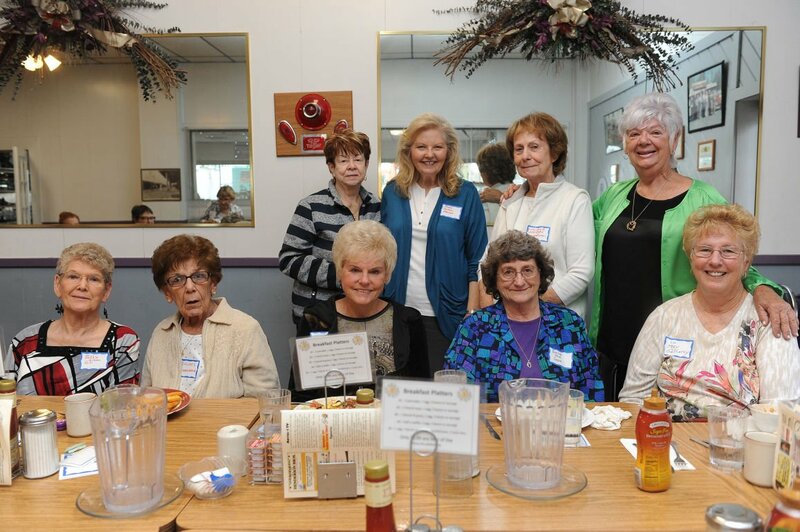 Standing, from left, Norma Havel Setum, Diane De Vries Hansen, Lucille Weibel Landucci, Roberta Zupo Canier, and, sitting, from left, Barbara Gibbeau Gini, Dolores Zimbelman, Henri Cromwell Felion, Bonnie Stroh Seibel, Lu Frey Gellatly, during the Ladies Lunch Brunch, a reunion group of Lodi High School Class of 1956, at the Richmaid Restaurant in Lodi on Friday, Nov. 14, 2014. If anyone from the class of 1956 is interested in joining the lunch brunch, which takes place every 3 months, they can call Nancy Gross at (916) 983 7710.